Piotr Lobodzinski of Poland poses on top of the Messeturm highrise building after winning the ‘Skyrun’ in Frankfurt, June 14. With 1,202 steps to be climbed to an elevation of 222 meters, the Skyrun is the highest towerrunning competition in Europa, according to the organizers. 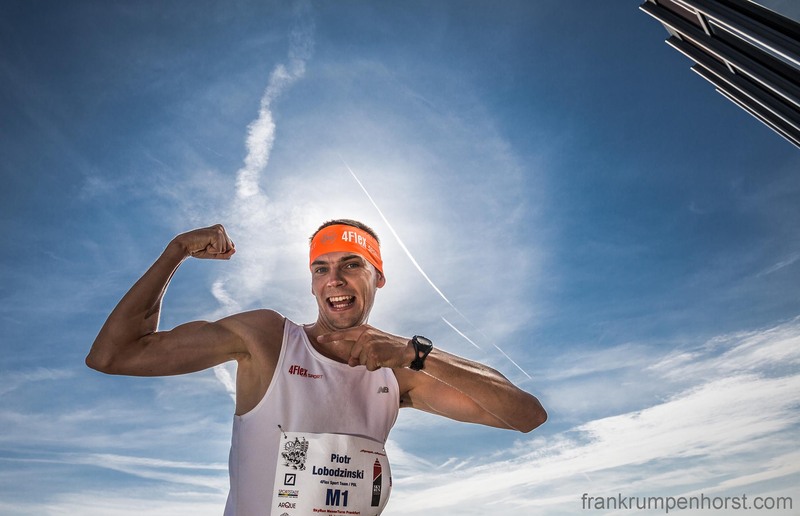 This entry was posted in germany, Photo, Photography, towerrunning and tagged messeturm, piotr lobodzinski, poland, skyrun, stair case running, stair runnimng, towerrrunning, treppenlauf. Bookmark the permalink.